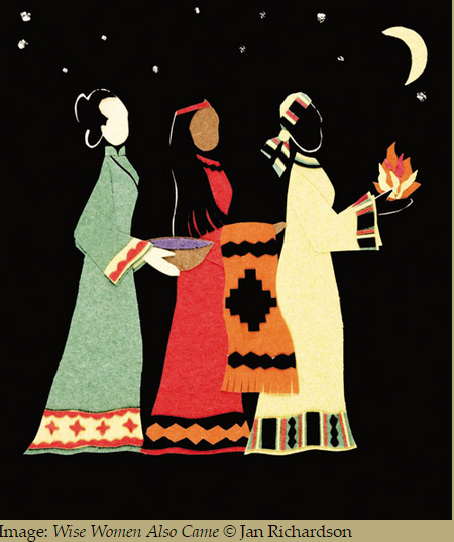 Did you know that in some parts of the world, Epiphany (January 6, which brings the Christmas season to a close) is celebrated as Women’s Christmas? Originating in Ireland, where it is known as Nollaig na mBan, Women’s Christmas began as a day when the women, who often carried the domestic responsibilities all year, took Epiphany as an occasion to enjoy a break and celebrate together at the end of the holidays. Whether your domestic duties are many or few, Women’s Christmas is a good time to pause and take a break from whatever has kept you busy and hurried in the past weeks or months.